Coming into Spring Training this year, the Royals were pretty much set at every position, with a few exceptions: 2B, CF, #4 and #5 starters, and LH relievers. That may seem like a lot of positions to have uncertainty at, but a lot of them are truly position battles. In the darker days of this franchise, it used to be there was one clear-cut favorite for a position. And no matter how he did, all he had to do was basically show up every day and the job was his. The Royals have some legitimate position battles going on this Spring, and within these battles there is always at least one dark horse. If Salvador Perez hadn’t torn his left meniscus the other day, there wouldn’t be any questions as to who the two catchers on the roster would be coming out of camp. But now that it’s looking like Sal could be out until at least mid-June or later, a few new names have come up as the potential #2 to Brayan Pena. At 30 years young, Cody Clark is hardly a young up-and-comer. He’s spent the last 2 seasons at Triple A Omaha, primarily as the backup catcher. He isn’t a great hitter, but his numbers are pretty much what you’d expect from a catcher (career .254/.320/.394). And although his arm isn’t much to brag about (33% career caught stealing), his glove is major league quality (career .992 Fld%), never committing more than 6 E in one season. He is making his first start of the Spring today against Cleveland, ahead of Max Ramirez. 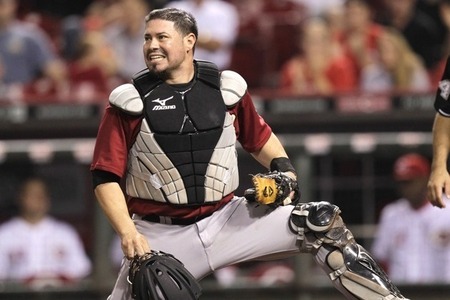 Max Ramirez is an offensive-first catcher, period. Once a top catching prospect for the Rangers, Max has done nothing but hit during his 8 seasons in the minors, with a line of .295/.389/.478 with 85 HR and 146 2B. His glove is average at best, and his arm is less than stellar (27% CS). With Brayan Pena already on the roster, having two mostly offensive catchers might not make much sense. But if Max keeps hitting like he has been this Spring (7 for 15, 3 HR, 9 RBI) it’d be hard not to bring him on board. Kouz has been playing well this Spring, going 3 for 10 in 7 games played, including a walk-off double. He’s always had the ability to hit if given the chance. But the real reasons he’s here are the fact that he’s a vacuum over at 3B, and he’s a right-handed hitting alternative to Mike Moustakas against tough lefties. If the Royals keep Johnny Giavotella and Yuni Betancourt (thus sending Chris Getz to Triple A), Kouz has a real shot at breaking camp with the Royals as the backup corner infielder. He may be a AAAA player, but right now he’s just a guy who’s never gotten a real chance to show his stuff. Clint profiles as a DH/1B, mostly due to his size (6’5″ 235) and raw power. He won the hitter’s triple crown in 2010 in Double A(.335/.410/.625 29 HR, 98 RBI, 41 2B, 58:86 BB:K ratio, and almost replicated those numbers again last year in Triple A (.326/.399/.533 23 HR, 100 RBI, 35 2B, 58:86 BB:K ratio). If he had been in almost any other organization, there’s no doubt that Robinson would have made his Major League debut by now. But since he’s been blocked by Billy Butler, Eric Homser, and Kila Ka’aihue, he has yet to see an at-bat in KC. If he wants to make the team out of Spring, he’ll need to log more innings at one of the corner OF spots and prove he isn’t enough of a defensive liability to offset his bat. 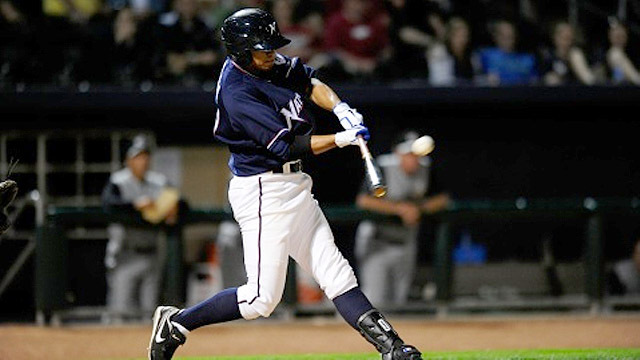 He could be a great left-handed power bat coming off the bench for Ned in 2012. Lough does everything right. He hits, runs, and fields well, while occasionally flashing a little bit of power. He’s been compared to David DeJesus, except that he runs much better. He’s already hit 2 triples this Spring, and has logged significant innings at all 3 OF spots. Lough could very well supplant Mitch Maier as the 4th OFer on this roster. 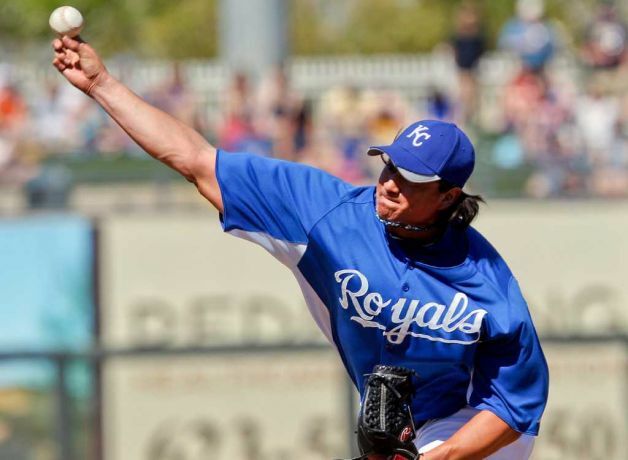 Without a doubt, Luis Mendoza has been the Royals’ most outstanding pitcher this Spring. He’s 3-0 in 10.2 IP with a 0.84 ERA, 11:1 K:BB ratio, .135 AVG against, and 0.56 WHIP. He seemed to get is act together last year in Omaha, and was called up to Kansas City to make two starts in September, going 2-0 with a 1.23 ERA in 14.2 IP. Mendoza is in an all out brawl with Danny Duffy and Felipe Paulino for that 4th or 5th spot in the rotation. At this point, Mendoza is almost a near lock to make the team out of Spring Training. But the question is whether he winds up as a part of the rotation or the bullpen. After being converted from a starter to a reliever and pitching at almost every level in the organization last year, Herrera has an outside shot to start the season in KC. He’s got a true power arm, being able to hit the upper-90’s consistently. He currently sports a 1.50 ERA in 6 IP this Spring with 9 K to 2 BB and a .190 AVG against. It might take an injury to one of Coleman, Holland, or Broxton for Herrera to make the 25-man roster this April, though anything can happen between now and then. The hometown kid has been impressive in his short time as a Royal. 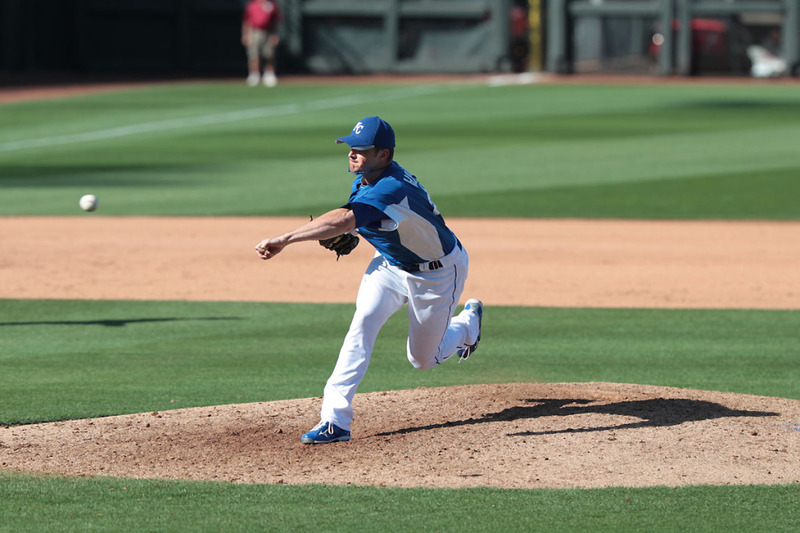 He hasn’t surrendered a run in 4.2 IP thus far, giving up only 5 hits while striking out 5 and walking 0. Tommy has started games before earlier in his minor league career, though his TJ surgery probably put that part of his career in the rear view. But he is capable of going more than one or two innings. Yost has stated that he wants more than just one lefty in the bullpen, and Tommy could be that guy given the fact that he could fill a number of bullpen roles (long reliever, middle reliever, situational lefty). 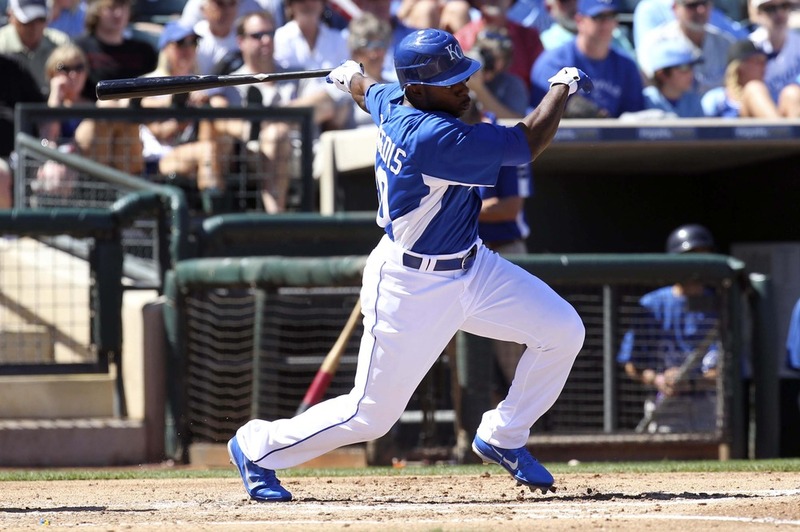 For the second day in a row, the Royals topped the Rangers in Surprise. Texas jumped out to an early lead against Bruce Chen to the tune of 5 runs (4 earned) in 1.2 IP. Louis Coleman followed Chen with 1.1 scoreless. Mike Montgomery made his Spring debut in the fifth inning and thew 2 successful innings, allowing 1 ER. Chris Dwyer followed suit with 2 scoreless, then Collins and Wood combined for 2 scoreless as well. Escobar tripled to center in the 5th, which set the stage for Alex Gordon’s 2-run HR to right off of lefty Mitch Stetter. In the 6th, Derrick Robinson hit a bases loaded single that brought in two more runs, closing the gap to 6-5 Texas. Fast forward to the bottom of the 9th. With the bases loaded and nobody out, Wil Myers grounded into a Fielder’s Choice 5-2 double play, which brought Kevin Kouzmanoff to the plate with two down and runners on second and first. Kouz proceeded to smoke a 2-0 double into the gap in Left-Center, scoring Moustakas and Myers for the walk off win. E-J Giavotella (KC), A Beltre (TEX). DP-TEXAS 3, KANSAS CITY 1. LOB--TEXAS 6, KANSAS CITY 9. 2B--K Kouzmanoff (KC), J Francoeur (KC), J Giavotella (KC), L Cain (KC), A Beltre (TEX). 3B--A Escobar (KC), E Andrus (TEX). HR--A Gordon 1 (1) (off M Stetter) (KC). SB--C Getz 1 (1) (KC). CS--D Murphy (TEX). 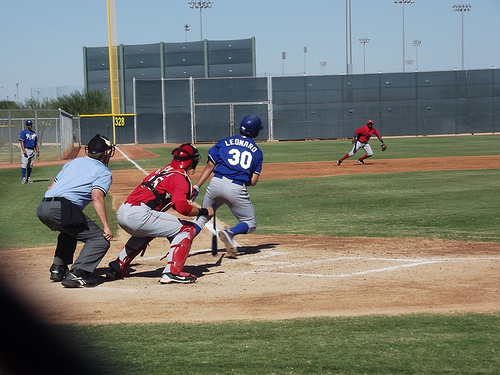 HBP--M Ramirez (KC) by T Scheppers. BALK--N Cotts (TEX). BB--TEX: D Murphy, B Snyder, M Moreland. KC: A Gordon, C Robinson, M Moustakas, C Getz. 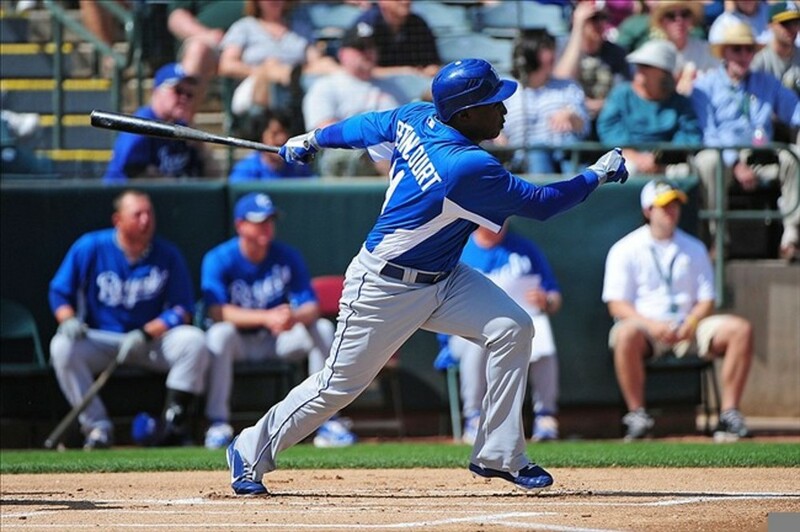 According to ESPN and Baseball America’s Jerry Crasnick, the Royals have signed 3B Kevin Kouzmanoff to a minor league deal that includes an invite to Spring Training. Kouz will make $1M if he makes the big league roster. The deal also includes $300K in performance incentives. He can choose to opt-out of the contract if he isn’t in the majors by May 1st. 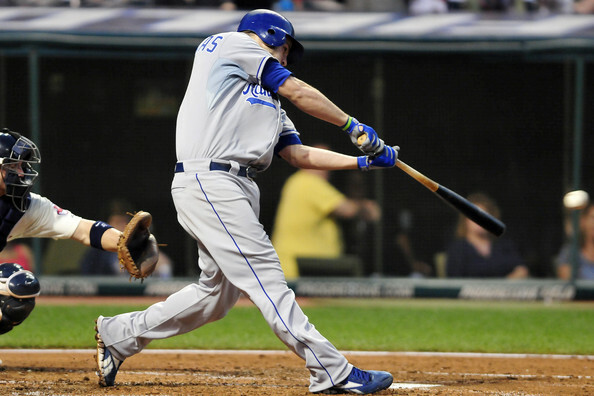 Kevin Kouzmanoff’s career started off with a bang in 2006 with the Cleveland Indians. On the very first pitch he had ever seen at the big league level, Kouz hit a grand slam – being the first player ever to do so. 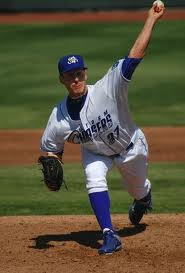 In the succeeding offseason, he was dealt along with pitcher Andrew Brown to San Diego for 2B Josh Barfield. He had the best 3 seasons of his career thus far with the Padres (2007-09). During his time with the Friars, he had a relatively pedestrian average (.263) and a poor OBP (.309). (It should be noted that Kouzmanoff strikes out a ton and takes walks like Miguel Olivo) But his value was in his power (59 HR) and his glove (.966 Fld%). In 2009, he set a MLB record for Fld% by a 3B in a single season by committing only 3 errors in 309 chances (.990 Fld%). In the following offseason though, Kouz was again traded – this time to Oakland (along with 2B Eric Sogard for OF’s Scott Hairston and Aaron Cunningham). This was the beginning of a downward trend for the 3B. In 143 games with Oakland in 2010, Kouz had a sickly slash line (.247/.283/.396), but still managed to produce a 1.2 WAR (mostly due to 32 doubles, 16 HR, and a .968 Fld%). 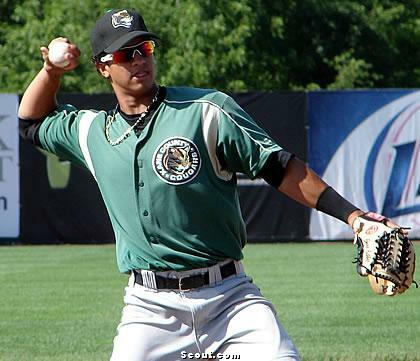 In 2011, he played in 46 games with the A’s before he was shipped in August to Colorado for a PTBNL/cash. Ouch. He managed to take part in 27 games with the Rockies at the tail-end of the 2011 season before being outrighted from the 40-man roster and thus electing free agency. This is most likely an insurance signing for Mike Moustakas. I would say, with how the everything currently looks, Kevin has a very small chance of breaking Spring Training as a part of the 25-man roster. But he does have value as a Defense-First, Power-Second, all-others-last role player. It’s another low-risk, low-cost signing by GMDM. And it, in all likelihood, won’t matter much.